mom option 1. 2. 3. 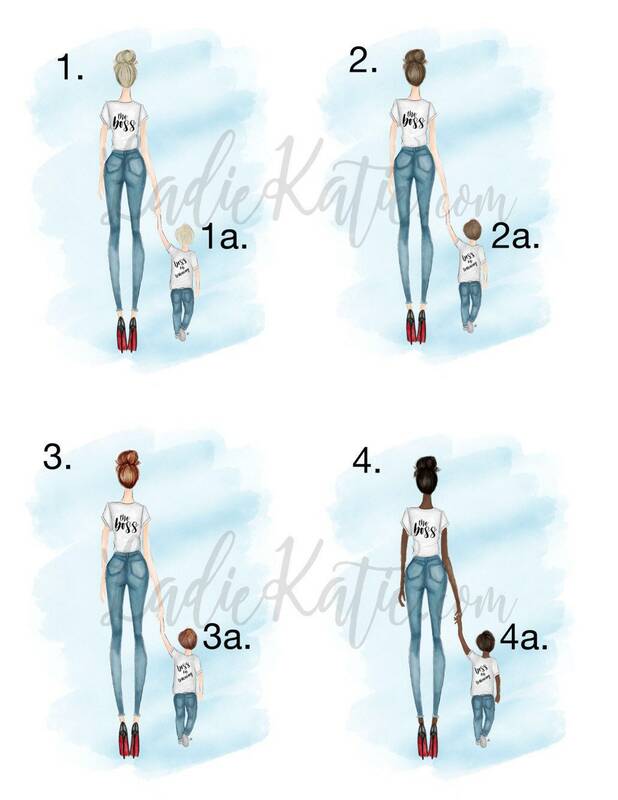 4.
son option 1a. 2a. 3a. 4a. 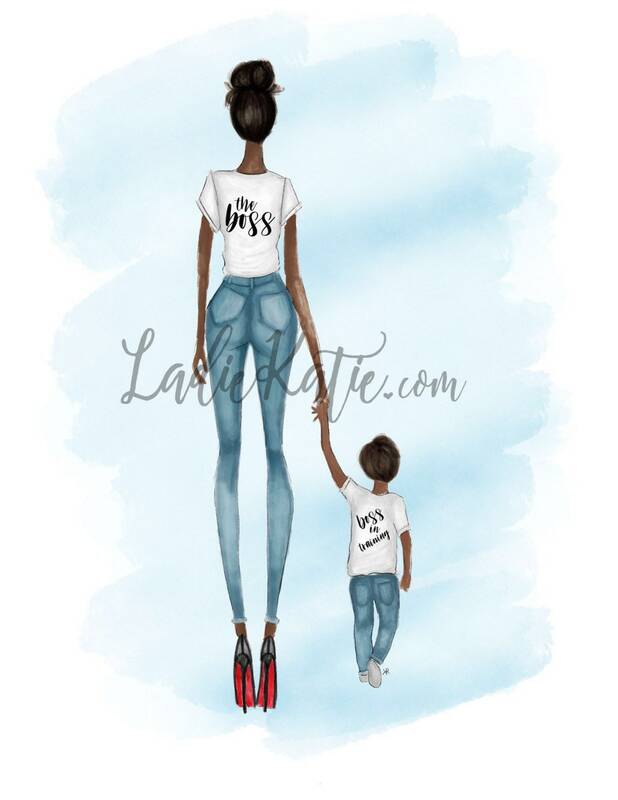 Are you a mom boss with a boy boss in training? 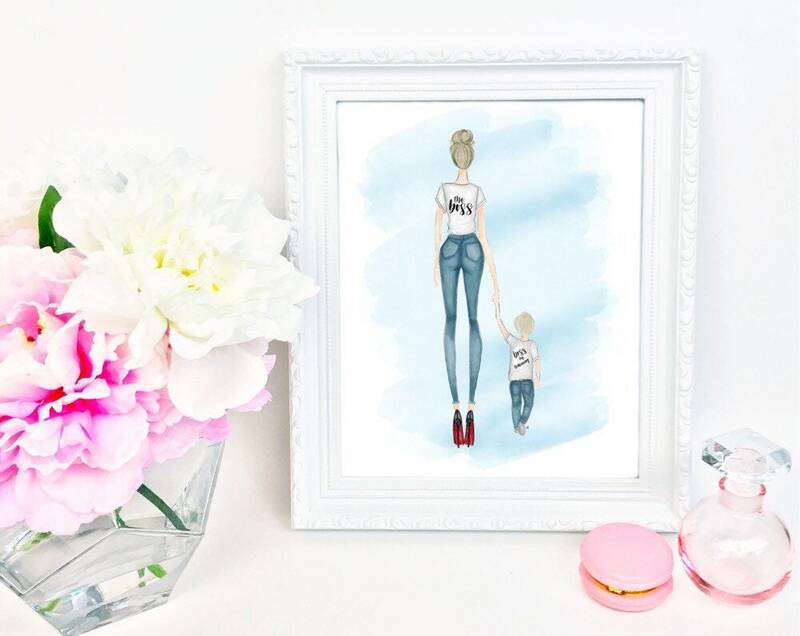 Then this print is for you! 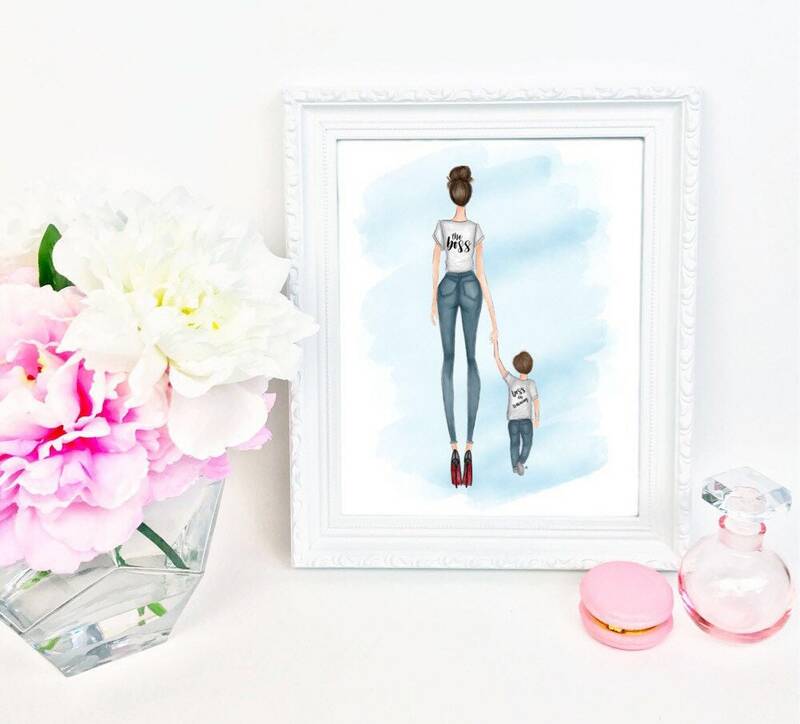 Customize the hair and skin tones to reflect to you and your little helper and remind yourself who's the boss with fun print!